The Wheel of Time is a series of fantasy novels set in an unnamed imaginary world. The plot takes place about 3,000 years after a cataclysm that ended the Age of Legends - a time of great enlightenment. It covers the battle between The Creator, who built the cosmos, and the Dark One, his archenemy, through a group of young people with extraordinary abilities. The titular wheel refers to the cyclical nature of time, with the opening lines of the first novel noting that “There are neither beginnings nor endings to the turning of the Wheel of Time.” The series draws on elements of European and Asian mythology, including concepts taken from Buddhism, Hinduism, Daoism, Christianity and Islam. 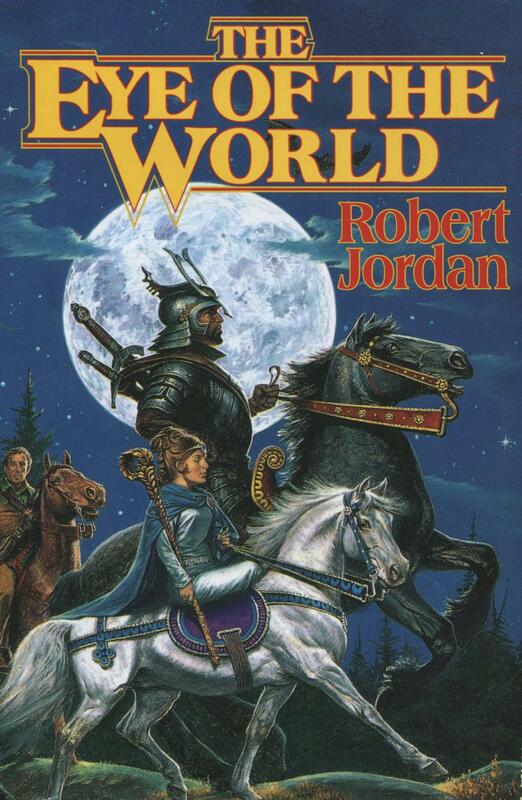 The series was originally planned to include six books, but ended up as fourteen—the final three completed after creator Robert Jordan’s death by fantasy writer Brandon Sanderson. Robert Jordan was born in Charleston, South Carolina, in 1948. He served two tours of duty in Vietnam as a helicopter gunner, where he was awarded several medals. On his return, he studied physics and became a nuclear engineer before beginning to write in 1977. His first novel, Warriors of the Altaii, remains unpublished, but the second - The Fallon Blood was published in 1980 by Jordan’s future wife, Harriet McDougal. Throughout the 1980s, Jordan wrote seven Conan the Barbarian stories, before starting work on the Wheel of Time series - the first of which was published in 1990. Jordan died in 2007, about 18 months after disclosing a heart condition to his fans. He left notes for one final book in the series, which was expanded out into three by fantasy writer Brandon Sanderson.